Escapia is user-friendly and comprehensive vacation rental software solution for professional property managers. The best part of Escapia is that it's a HomeAway product; well, kind of, HomeAway bought the company some years ago but it is still very much run separately. In theory this should mean the integration is the most seamless and the Escapia team should be the quickest to adjust to the changes being made by HomeAway. That theory is the #1 reason we chose Escapia, however, it hasn't played out quite like I had hoped. The software is old and slow and badly in need of an interface facelift. But I could look past the aesthetics if it weren't for the fact that the system as whole has been cobbled together and the various portals don't interact well with each other. For example, a tag in the reservations tab has a different name in the correspondence tab and still a different name in the payments tab. And half the time the tag you need isn't available in the place you need it. The most egregious example is for sending guests their codes, we have to manually input them in to a field over in the mobile app section because the app cannot pull any of the fields in the reservation section. And we still have to enter it in the reservation section so that it can be sent over to our maintenance software which, by the way, you will need maintenance and housekeeping software because Escapia's is a joke and even they admit to that. Speaking of things you'll need to buy, you'll need to buy a website separately, don't think for a minute the one you get with Escapia would be sufficient, you'll need to buy a marketing email software, Escapia can't even send out an automated reservation confirmation, and you'll probably also need to buy pricing software of some sort because Escapia's pricing platform is cumbersome and rife with tools that aren't actually usable. Also, with regards to reports, there are tons in there but I have yet to find many that are particularly useful. It takes me forever to do a decent YOY comparison of sales. I end up downloading pretty much everything to Excel and then spending a lot of time manually filtering and manipulating the data. There isn't even a decent report to show me where my reservations are coming from, I have to download all the reservations and use excel to count up what percentage are coming from where. And, fun fact, there is no way to list a reservation as coming from a phone call. There are tons of simple things that you would expect Escapia to be able to do that it doesn't. Like being able to put a note on the reservation grid that doesn't block the calendar, or being able to have reservation confirmations automatically send, or being able to easily see sent items in the lead management system. I hate to beat a dead horse so I'll stop here and just say this: Escapia has potential to be a great system, and I know the other options on the market are far from perfect, but there are some basic things that Escapia needs to figure out to make their system work well and after a year and a half, I've seen very little in the way of improvement. 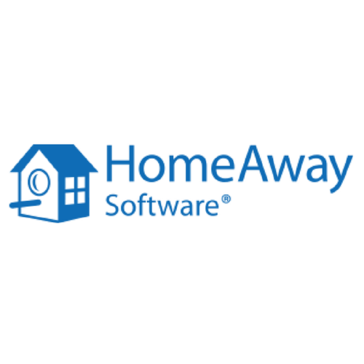 HomeAway has been preaching a message of reinvesting in their software and made a big splash announcement back in October about spending millions of dollars on it. Not sure where that money is going but on the user side, everything seems pretty status quo. Strongly consider what the most important business needs are and whether or not Escapia can actually meet those. Also, if given the chance to get in a trial account, open up the community feedback section and read through the things people are asking for. Also take a look at how old some of them are. For example, the review request email template is hideous, spammy, and the response rate is low. There is a user voice request dated 2015 with over 50 votes and yet it's still not been fixed. Benefits - Integration with HomeAway/VRBO, integration with 3rd parties (BlueTent Boost for ABNB, BlueTent Pro for website, Breezeway, VR Scheduler, BeHome, etc). I like that it is very simple to use, I can access my company's reports, home owner contact info, and company balance sheets very quickly. I dislike that it can be very slow sometimes. When I am downloading reports (specifically general ledger reports) it can take up to five minutes to load. Although Escapia is a bit outdated, it is very easy to use and I would recommend this if you run/work for a small business. Along with creating monthly statements for property owners, I have access to the company's balance sheet through Escapia so I can balance debits and credits. I've realized that I can access all my reports, checking accounts, and payables/receivables all in one section. It is very helpful, as someone who isn't a computer genius, it is straightforward. "Well designed specifically for vacation rental properties"
Make sure you are well educated about VRBO and HomeAway listing and the integration with Escapia. As well as, other products such as Glad, and their integration with escapia. Everything all in one software. No need for addition CRM software like NAVIS if you utilize Escapia properly and use LMS. Other software is integrated like Glad. * We monitor all Escapia reviews to prevent fraudulent reviews and keep review quality high. We do not post reviews by company employees or direct competitors. Validated reviews require the user to submit a screenshot of the product containing their user ID, in order to verify a user is an actual user of the product. Hi there! Are you looking to implement a solution like Escapia?